Peek into the legal side with my INSIDER GUIDE! Insights from the Inside is the easy-to-understand book written to help you better understand business formation and protection, copyright law, trademark law, and other legal information creatives MUST know! 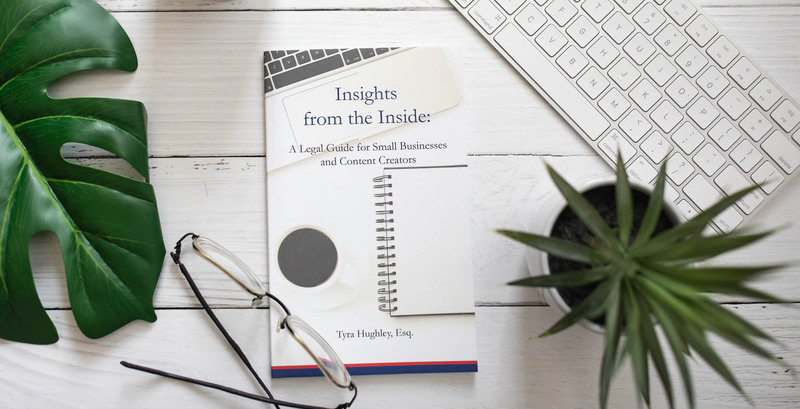 Insights from the Inside is divided into mini digestible sections to make understanding the legal side of business easier for YOU! After reading Insights from the Inside, you can be confident with legal language you’ll be introduced to as you go from building a business to preserving your creative genius.